I've mentioned Daniel Carr and the Moonlight Mint before. 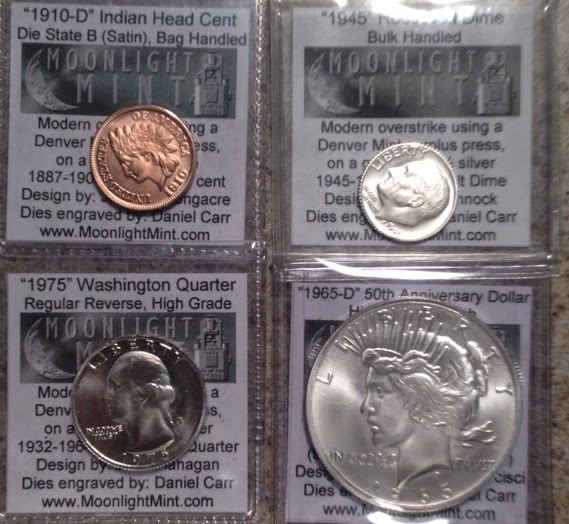 If you missed that, Daniel creates fantasy coins - dates that do not exist, struck on genuine coins of some other date. He also produces various tokens, but it's the fantasy issues that create controversy. Some people think that such things should be illegal, or that they are damaging the hobby even if they are legal. 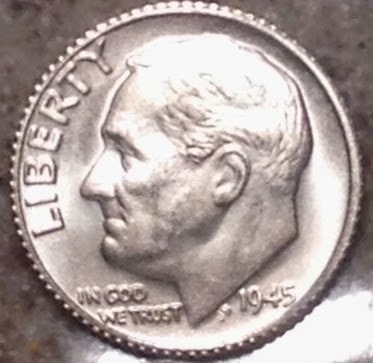 A few days earlier I also picked up this 1945 Roosevelt dime, but it isn't nearly as pretty. People have asked me why I buy these. I really don't have a great answer. I think they are fun and the past issues have increased in value, but that doesn't fully explain it. Maybe it's because they are real coins, maybe because I too am surprised that it is legal to do this. Maybe it's the low mintages. I really do not know, but apparently I'm going to keep buying them. 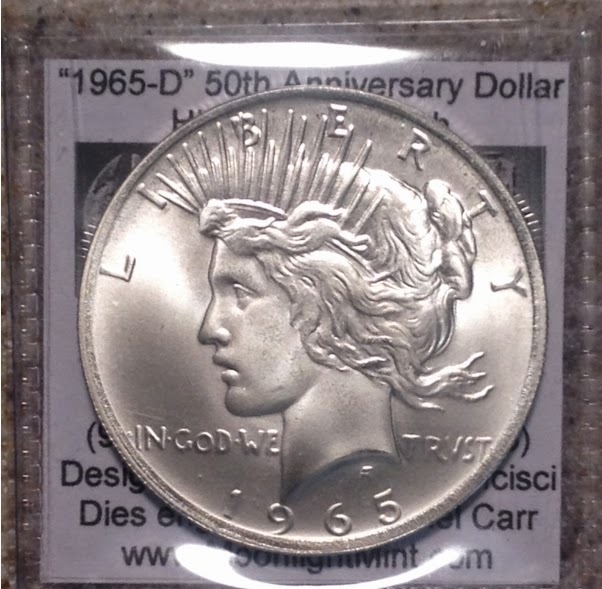 By the way, there is also a Daniel Carr 1964-D Peace Dollar, but you have to watch out for those that are not his. You'll see them on eBay sometimes for cheap prices, but the real ones run around $300 now. 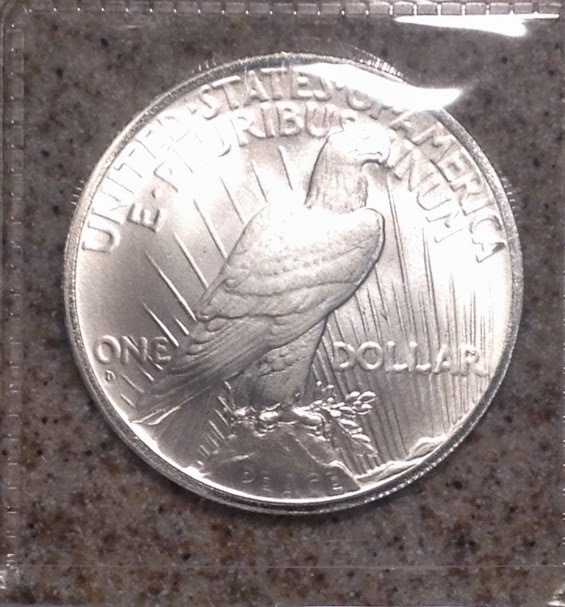 The others don't look as good, and may even be illegal if they were not struck over real coins and are not marked "Copy".